Many Free Spins to be had. 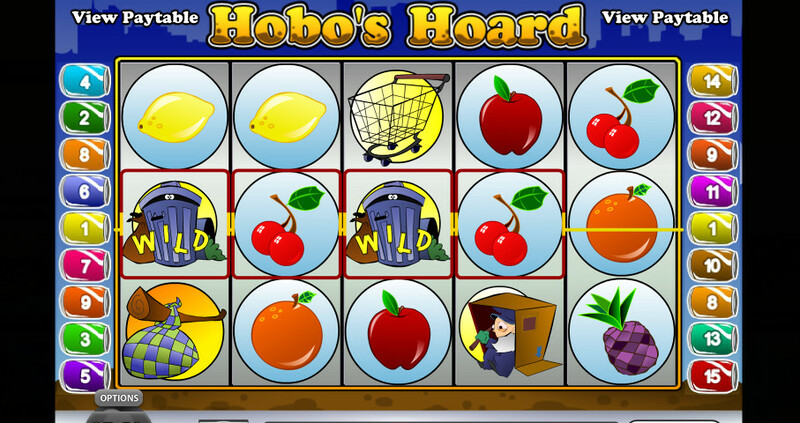 We have to admit, we do not know what we were expecting, but a slot themed around the life of a hobo certainly was not it. This is not the first time we have seen developers try wacky new ideas, but this one left a bad taste in our mouths. 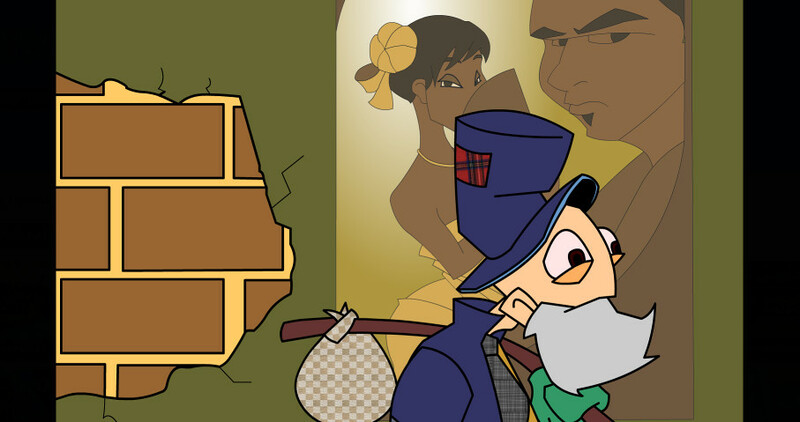 Perhaps it is a difference of culture, or maybe we are a touch over sensitive, but we do not think homeless beggars on the street make for an acceptable idea to base your latest game around. The question is, will the rest of the title be great enough to fix the mess that is the theme choice, or will it fall to the wayside and be forgotten? 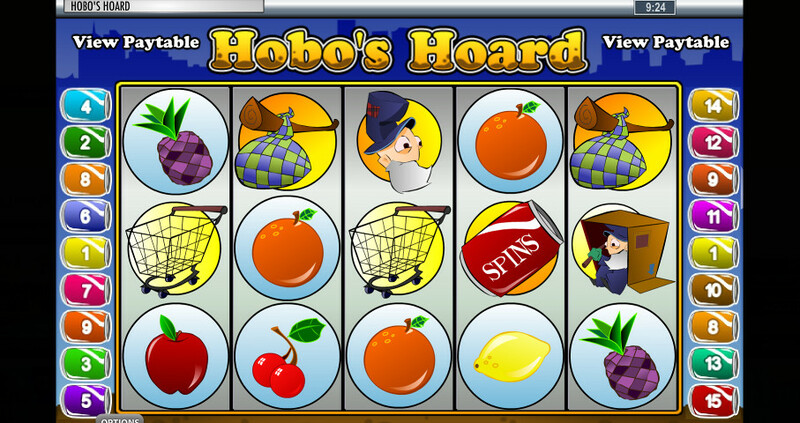 Rival’s Gaming’s Hobo’s Hoard certainly cannot be accused of borrowing ideas from anyone else, but there is probably a good reason why nobody made a slot about a hobo before. It was released in 2012, and you can see some of the tell-tale signs of that everywhere. The symbols, while nice, are rather simplistic, and the user interface looks like somebody tried to copy a physical machine’s appearance. Speaking of the UI, older games sometimes have blurry icons. This time around, it is the payline indicators which show whether the payline is turned on or off that look blurred. There is no official information on the volatility of this game. 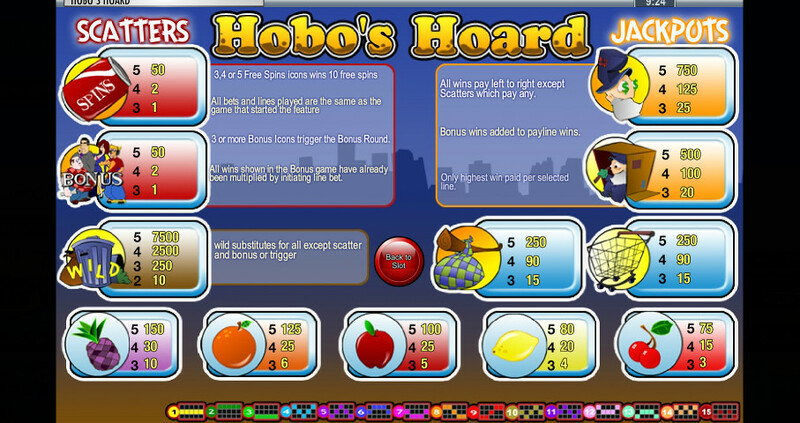 Hobo’s Hoard is played on a 5×3 playing field with 15 flexible paylines. This means gamblers are able to lower their minimum bet by turning off some of the paylines, at the price of lowering their chances of winning. The RTP for this title is 95.65%, which is average for video slots. By adjusting the amount of coins per payline, active paylines and the coin value itself, players can wager between $0.01 up to $75 per spin. Like in other Rival Gaming releases, gamblers have access to an Autoplay feature if they want to skip spinning themselves, and just letting the game do it for them. 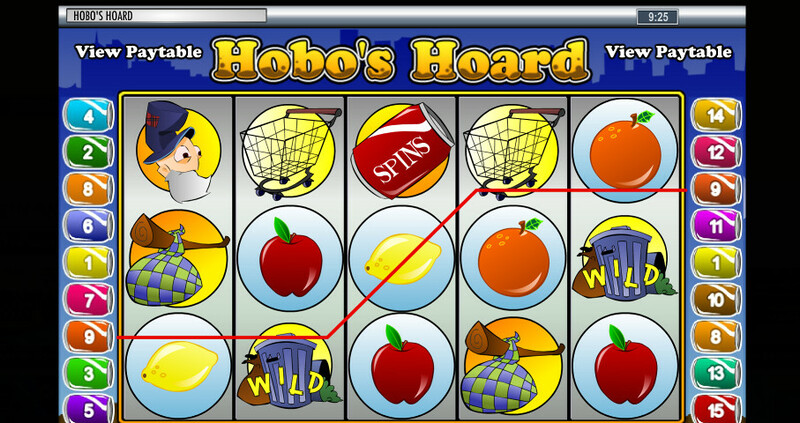 Keep in mind that auto spins only work if you are betting real money, so if you are trying out a demo, it will not work. Payouts for all symbols are awarded by collecting three or more identical symbols adjacent to each other, going from left to right, following one of the active paylines. Scatter symbols are exempt from this rule, and can give their cash prizes from any position. The most valuable symbol is the Wild, represented somewhat ironically by a trash can, then the hobo himself, the hobo sitting in his cardboard box, a satchel on a stick, an empty shopping cart, a purple pineapple, an orange, a red apple, lemons and the least valuable icon is the pair of cherries. Scatters actually pay less than cherries, but their main function is to trigger the available bonuses, so that is not a big deal. Collect three, four or five knock-off Coke can Scatters, and you win ten free spins. Nothing particularly special happens during the feature, but it does have the advantage of having all wins multiplied by 3x for the duration of the bonus. Meanwhile, if you collect three or more crowd Scatters, you activate another special feature. This time, Henry will approach the crowd and beg for money, and it is up to players to decide who he will approach. He can only ask one person, so make sure you pick well!